Meetings and Conferences at Craig Y Nos Castle01639 731167work Conference residential venueCraig-y-Nos Castle is the perfect Conference venue in South Wales to hold your event. 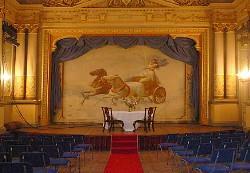 With its grade one listed theatre available for theatre style seminars, and many other styles of Conference room. 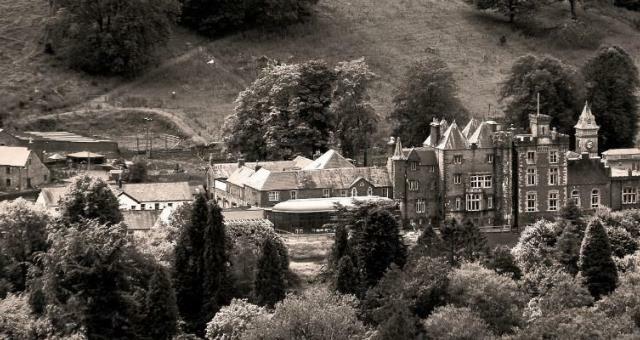 Craig-y-Nos is set within the Brecon Beacons National Park and easily accessible from Swansea and Brecon. Where else could you have all your delegates stay overnight, and to relax after a full days work. Craig-y-Nos Castle is the perfect Conference venue in South Wales to hold your event. Take the M5 motorway South to the M50. Follow the M50 to the end, near Ross on Wye, where it becomes the A40. Continue ahead, and after passing Monmouth go another six miles and then take the first junction after the service station, signed A40 Abergavenny. Follow the A40 until after a long straight section you approach a large roundabout near Abergavenny where you leave the A40 and continue straight ahead. This road is the A465, signed to Merthyr Tydfil. Stay on the A465 for around 26 miles, passing the junction to Merthyr Tydfil, and continuing to the A4109 junction at Glyn Neath. Follow the A4109 through the traffic lights in GlynNeath and over the hill towards Abercrave. This becomes the A4221, but continues straight ahead until it drops down to the A4067 road. At the junction with the A4067 turn right and follow the road for four miles to Craig-y-Nos Castle, which is on the right. Follow the A470 Northwards from junction No32 of the M4 motorway to the A 465 just beyond Merthyr Tydfil. Head West on the A465 continuing to the A4109 junction at Glyn Neath. Follow the A4109 through the traffic lights in GlynNeath and over the hill towards Abercrave. This becomes the A4221, but continues straight ahead until it drops down to the A4067 road. At the junction with the A4067 turn right and follow the road for four miles to Craig-y-Nos Castle, which is on the right.